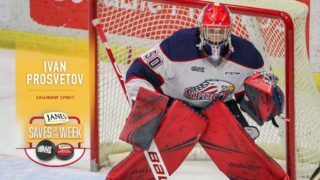 The Guelph Storm announced today that goaltender Anthony Popovich is the Player for the week ending January 1, 2017. Popovich made all three starts during the week stringing together three impressive performances in net. 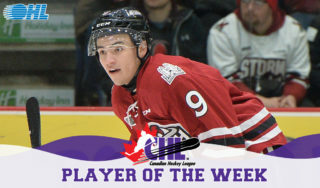 Last Wednesday, the 17-year-old made 28 in the 4-3 overtime win over the Sarnia Sting. On Friday night he made 40 saves in a 4-3 overtime win in Sudbury against the Wolves He then followed that up with a 36 save performance falling in the shootout 3-2 to the Sault Ste. Marie Greyhounds, earning the second star of the game honour. Over the week, Popovich posted a 2.54 goals against average and a save percentage of 0.929. With his string of strong outings, the Belleville native lowered his goals-against-average to 4.25 while bumping his save percentage to 0.891, which ranks him among some of the top rookie goalies. The rookie netminder now holds a record of 6-6-0-1. Next, the Storm have a busy weekend to kick off 2017 with a four-game week, including a three-in-three. 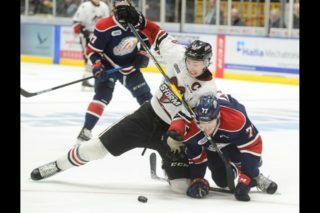 Guelph opens the week hosting Highway Seven rivals, the Kitchener Rangers on Tuesday, January 3. 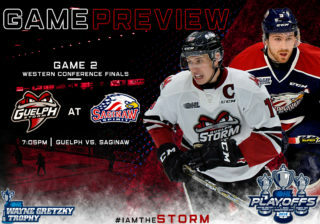 They then open their three-in-three on Friday night with a home game against the Windsor Spitfires, before heading to Flint to face the Firebirds on Saturday night. 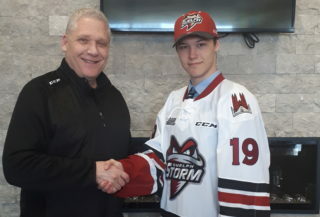 The Storm then return home to face the Sudbury wolves on Sunday, January 8 to end the week. 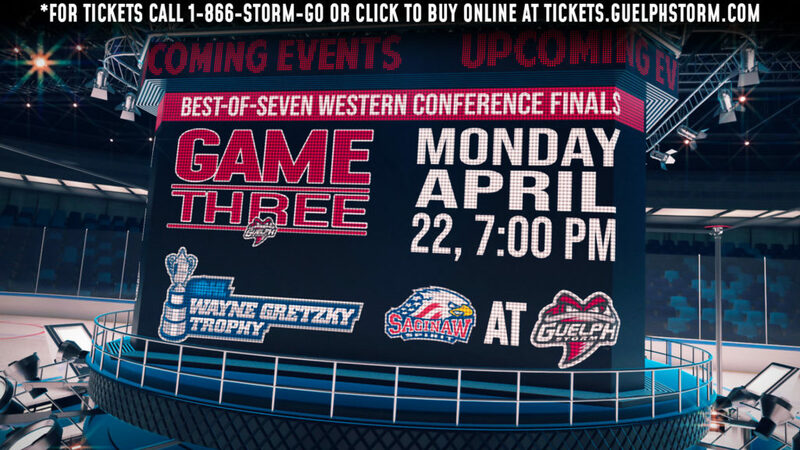 For tickets call or visit the Storm Box Office in Old Quebec St. Shoppes, (519) 837-9690 or online HERE! This week the Storm play at home Friday, January 6 against the Memorial Cup hosts Windsor Spitfires and on Sunday, January 8, versus the Sudbury Wolves, giving Storm fans the chance to take advantage of the Weekend Pass ticket deal! For more information on the Weekend Pass deal, click here!